Smartphones are everywhere now it seems, especially as they become increasingly intuitive to use, more powerful and as such multi-functional. However what are now referred to as dumbphones still have uses. 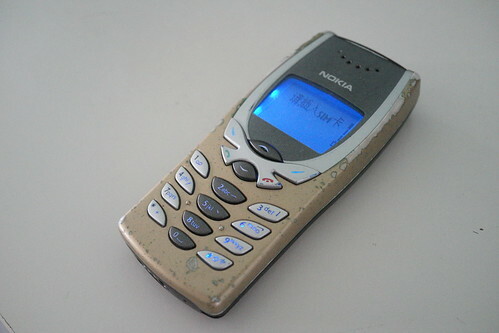 People who just want something for making and receiving phone calls or texts appreciate them, one iPhone user turned his into a dumbphone by removing all the apps except the SMS and dialer and found the experience refreshing – I wonder if he’d have found it as easy to sell the shiny, touchy-feely one and buy a £20 Nokia. In much of the world though dumbphones are the most used phones, often for reasons of cost – both the hardware and the costs of data which make smartphones unviable. As an article in Wired said amongst our world population of seven billion there are six billion mobile-phone subscriptions, in Columbia, Egypt and Indonesia the mobile penetration is over 90 percent and it’s more than 100 percent in Brazil, Vietnam and Russia. The same article is about how marketers are using the ubiquity of basic mobiles to reach new markets. The cost of mobile minutes in emerging markets are high and as such are a precious commodity, or currency. The article author, Nathan Eagle’s company Jana provides services whereby mobile users can be rewarded with airtime for trying new products, filling in surveys and looking at adverts. 74 percent of users in Brazil would be happy to receive adverts in return for airtime. Multinationals are catching on, P&G have launched a campaign and Jana helped Danone doubled sales of yogurt via a similar campaign. This kind of targeted marketing that we’re used to with our smartphones is now reaching more emerging markets and according to Nathan Eagle using advertising budgets to give emerging markets consumers these airtime bonuses would give them more disposable income. Also, in Wired’s April 13 edition is a piece about an Indian startup called Innoz and its service SMSGyan which is a search engine without the internet – again perfect for basic mobiles. Founded by Deepak Ravindran, Mohammed Hisamuddin, Ashwin Nath and Abhinav Sree who dropped out of the Lal Bahadur Shastri College of Engineering in Kerala to persue the project to give more people access to information, and answers. “Gyan” means “knowledge” in Hindi and the service has partnered with Wikipedia, Bing, Wolfram Alpha and others to enable the system to answer questions sent to their servers by text message. Costing the equivalent of 1p per query it returns an answer as a text message. The networks gain revenue, the service’s 120 million active users gain information. The next step is expansion of the service beyond India, as the ability to gain access to info when you have no data service can be vital just about anywhere. As Wired’s Jana article pointed out this is the second time basic mobiles have created a communications revolution in emerging markets. The dumbphone’s not that dumb after all.